Backers with access to the Alpha (those who paid 100€ or more) can now play the second chapter in the main storyline. We have also added a character editor as a new feature. The editor lets you create a captain of your choosing. Shape their look any way you like, change their name, background and even special attributes. One of the most asked questions we have received is about the stash system on the stations and the salvage pods. We’d like to clear up that salvage pods are completely free. Between the Stars will not have any form of in game purchases. -Salvage Pods are rewards obtained when sacking a destroyed enemy ship, or purchasing it in certain space stations. In them we will find weapons, systems, materials, money… A juicy bit of loot that you’ll want to open immediately. These boxes can also be stashed away on stations so you can open them further along on other play throughs. -Space station stashes will allow you to store these boxes in order to recover them on other playthroughs after your death. This will let captains to supply themselves prior to a new battle. Every time your captain dies you will have a series of penalty’s depending on your chosen method of play. -Normal Mode: Your captain’s death penalizes you. You will appear in your previous save point, with your captain and crew intact (if they were still alive at this point). 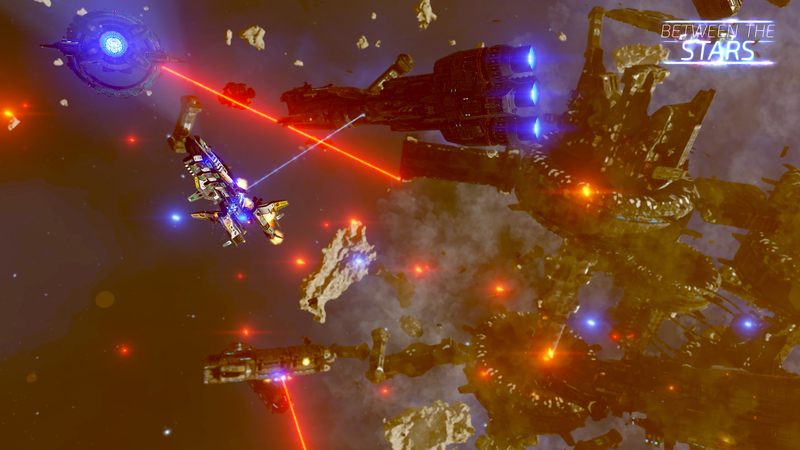 Nonetheless, you will lose all weapons and objects in your inventory (keeping items coupled to your ship). In this moment a thrifty captain will have access to loot boxes that he had stored up for himself previously in his stash to be able to stock up and continue on the adventure. -Hard mode: Death is the end. Your captain’s death is the end of the game, but not the end of the game. In the next playthrough you’ll have access to your blueprints, unlocked ships, and salvage pods that you had stashed away on the station when you start fresh. Amazing demo. Looking forward to the compete release! Cudos to the small dev teams out there for creating games with passion! hey macdaddy did you try the Hard mode of the demo? Once you finish it you can play hard mode haha but god I literally die in the first or second battle every time :p Its really fun but incredibly dififcult! Just finished the demo!!!! Very engaging and fun. Look forward, for whats to come. Keep up the great work.. Thank you. wow sounds amazing haha love the hard / ironmade mode!